Some homeowners think having something on their gutters is better than nothing at all. Others think all types of gutter covers are the same, except for the brand name. When you really compare gutter guard systems, you’ll find that Gutter Helmet® is a better option than gutter screens. It’s not just about the superior Gutter Helmet warranty, it’s about design and function. Do you understand the difference? Let us help. A gutter screen has a few things inherently wrong with it. First, as a screen, it’s not going to keep everything out of the gutter. Yes, large leaves are blocked but what about seeds and pine needles? They can fall right through, making it as if you didn’t have anything on your gutters at all. Second, screens are often flat. If you have a lot of debris on your roof and a heavy rain falls and washes the debris down your roof, it lands on the screen and often gets stuck. This renders the gutter cover useless because it blocks water from flowing into the gutters. The task you wanted to avoid – cleaning your gutters – just expanded to cleaning your gutters and gutter covers. 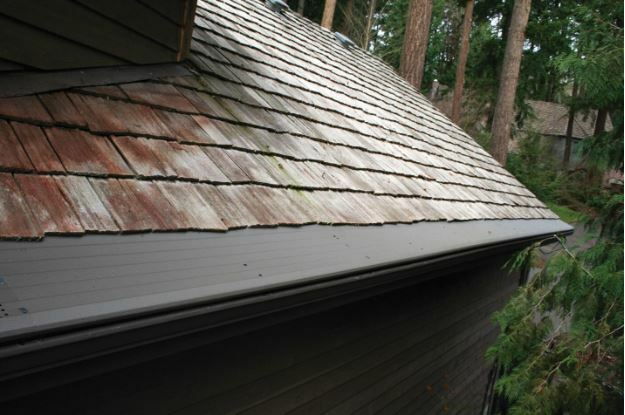 Lastly, the installation method of some gutter screens can void your roof’s warranty. Our patented design completely protects your gutters from all types of debris. When you compare gutter guard systems, you’ll find that only Gutter Helmet can handle extreme rainfall – in fact, it’s been tested to handle over 22 inches of rain per hour without a problem. You’ll learn that no matter how much debris is on your roof, leaves, twigs, seeds and anything else hits the gutter covers and runs over the edge, not into your gutters. Gutter Helmet has been evaluated by every major roofing manufacturer, and our installation will not void your roof’s warranty. We also offer the most comprehensive gutter cover warranty available. 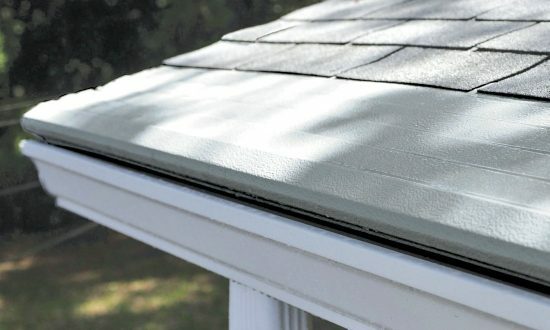 The Gutter Helmet Triple Lifetime Warranty covers performance, materials and installation. Not only are you covered, you can also transfer the Gutter Helmet warranty to a new owner when you sell your home. If you don’t feel that your gutters are properly protected and they’re still getting debris in them, we’ll come to your home, clean your gutters and adjust your gutter covers. Gutter Helmet is available in a wide selection of colors to coordinate perfectly with your home. When you begin to compare gutter guard systems, be sure to include Gutter Helmet. You’ll quickly find that there really is no comparison between screen-based systems and Gutter Helmet. Remember, with Gutter Helmet installed, you will be able to say that you never need to clean your gutters again! Call (800) 824-3772 today to be connected with your local Gutter Helmet dealer.